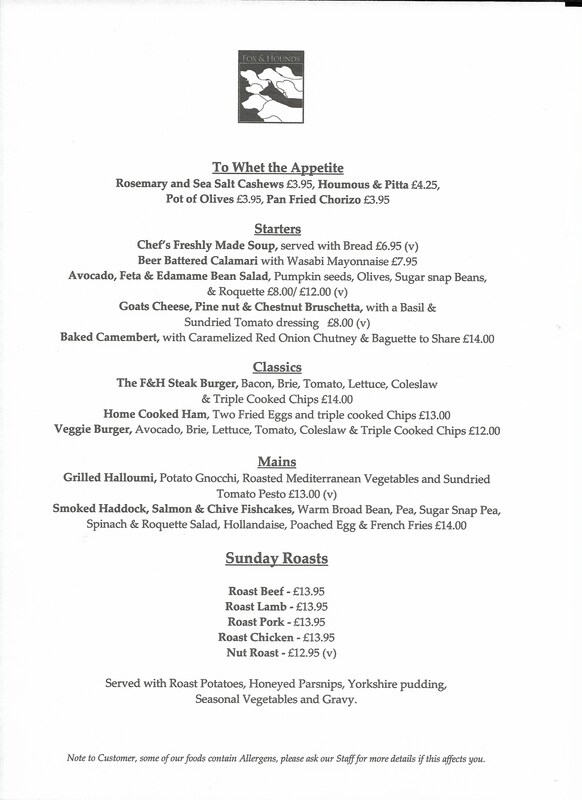 Our Menus change on a daily basis, so there is no set for the whole season. 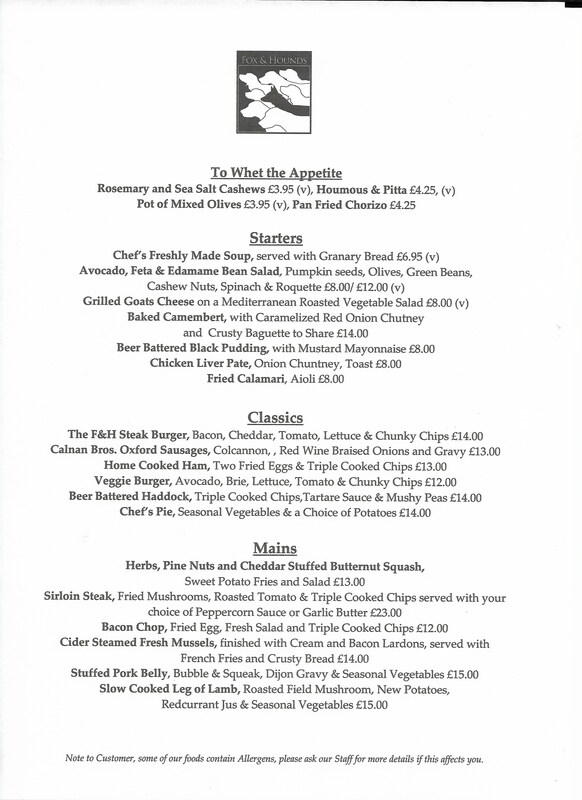 However, you can use this as a reference for our style of food available all year round. We always serve a vegetarian options, gluten free options and our kitchen is more than happy to cater for any other dietary needs. 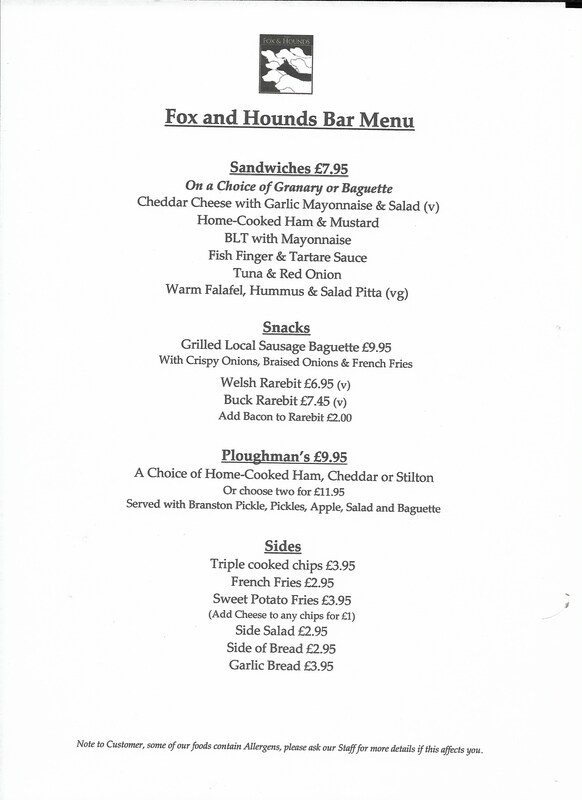 Our Kitchen is open from 12-2.30 and 6.30-8.30 everyday except Sunday. Sunday is only open for Lunch.